The Berlin trio serve high-impact big room techno functions for 50 Weapons. 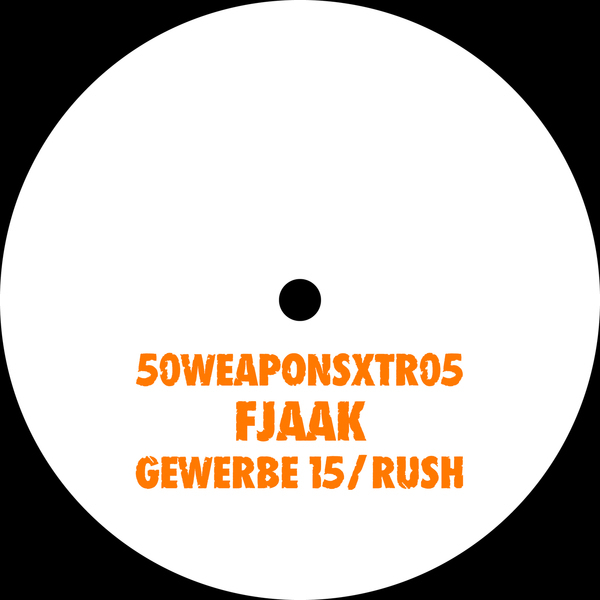 'Gewerbe 15' builds a mucky head on it before slamming home the kicks and adrenalised synth progressions. 'Rush' carves more to that haughty, filtered style of Shed's Head High powerhouse bangers.